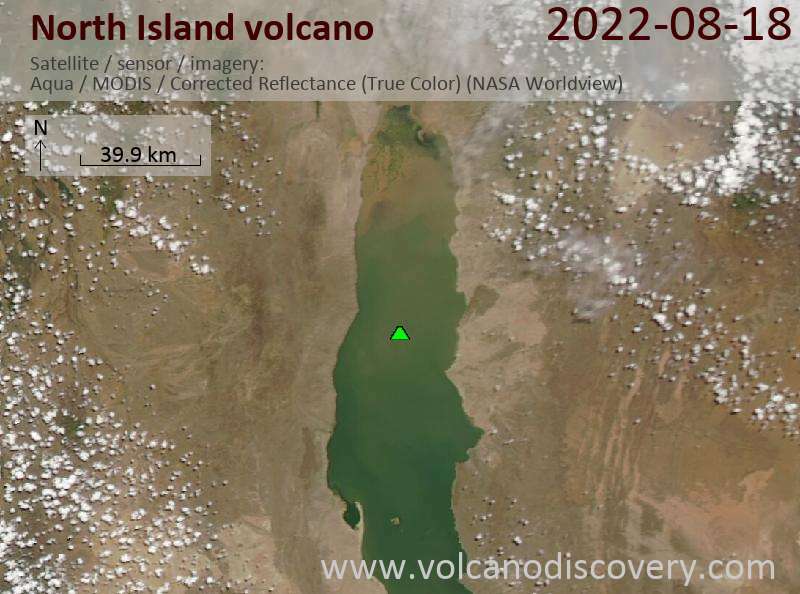 The small, 2-km-wide North Island in Lake Turkana is the northernmost and smallest of three volcanic islands in the lake. North Island is the summit of Kenya's northernmost rift valley volcano and is primarily composed of trachyandesitic-to-trachytic phreatomagmatic deposits from overlapping eroded tuff cones or tuff rings. The center of the island consists of a young tuff ring about 1 km in diameter nested inside an older tuff ring. Two fresh unvegetated lava flows that reach the lake shore from the central tuff ring form lava deltas at the northern and western sides of the island; the northern delta is about 900 m wide. 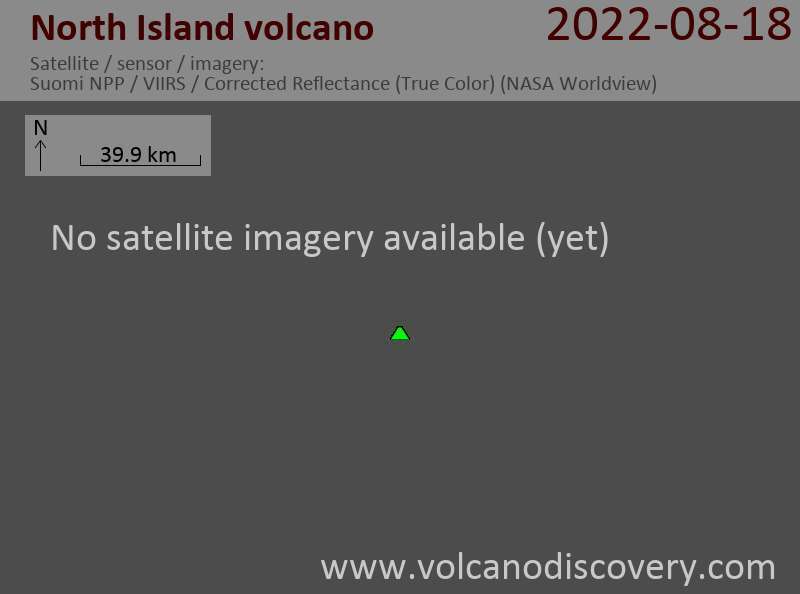 The two blocky lava flows are younger than a terrace that formed less than 10,000 years ago during the last major high-water level of Lake Turkana (Key and Watkins, 1988). Geothermal activity occurs along a curvilinear ridge on the southern half of the island and on wave-cut platforms and beaches on the SW shoreline.